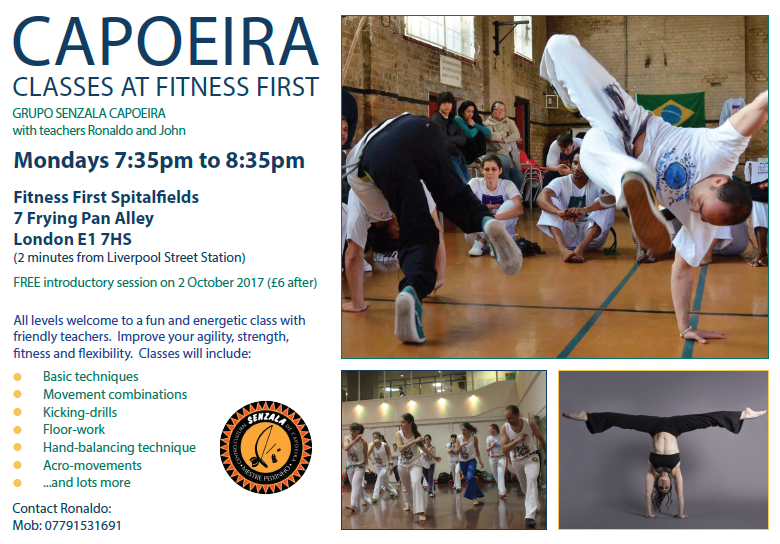 Join us for some Monday fun with capoeira classes in Spitalfields. £6 per class. Professors Ronaldo and John teach a weekly capoeira class for all levels near Liverpool Street station, London.